It is with a heavy heart that I announce the passing of Ron Sheldon. 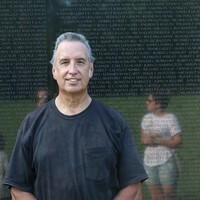 Colonel Ronald J Sheldon was a three war Veteran, He served in Viet Nam, Afghanistan and Iraq. Ron was riding his motorcycle from Ontario CA to Washington DC (the southern leg of The Run for The Wall) when he was involved in a motorcycle accident in Arizona. Ron lost his life while doing something he enjoyed. Thank you, Ron for your service and may you rest in heavenly peace. link will be gone in about 10days.. you Might enjoy looking at what Rons friends and Family observed..
will miss you my friend. REST IN PEACE BROTHER! Wow, what a shock learning the news of Ron's passing. Was a great friend in school. Thank you Ron for your great service for our country. May you rest in peace. its taken this whole week for me to process your passing. The last Time we were in contact with each other was in January and only for a brief birthday greeting, wish I had taken the Time to talk to you more. Now there won’t be any more conversations between old friends and classmates. Ron I’m glad you got to do what was so one of your favorite things to do. Which was making a run for the wall. God bless you and Rest In Peace. And thanks for all of your service and your courage. My condolences to the family and all who were involved with Ron’s military services. We will miss your presence. I am very sad to hear that Ron is no longer with us. It has been a privilege knowing Ron Sheldon. I have known Ron since High School, and reconnected with him threw Facebook over the past several years. Ron was a true patriot with a stellar military carrier. Everything that I have ever known about Ron is, he has always been a man of integrity and an overall great person. Click here to see Ronald J's last Profile entry.